When the toll of terrible battles dominates the news or a flag-draped casket is solemnly ushered into Arlington Cemetery, the impact of war is painfully felt. But memories fade as life marches on, and the sacrifices of soldiers and those who supported them at home become footnotes in history, infrequently recalled. 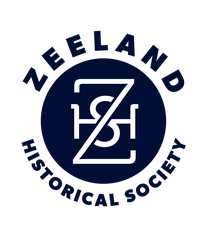 But the Dekker Huis/Zeeland Historical Museum wants to ensure that stores of the battlefield and the home front are not surrendered to oblivion. In pursuit of that aim, museum volunteers led by project manager John Norder and his wife, Susan, have spent the last several months renovating the Military Room (also known as the "War Room") into the Memorial Room. The fruits of their efforts will be on display during a grand opening on Memorial Day, May 25, when the public is invited to visit the museum free of charge from 10 a.m. to 2 p.m.
"No one celebrates war," stated John Norder, who also serves as a trustee on the board of the Zeeland Historical Society. "What we try to reflect in the (Memorial) Room at the museum is . . . like the quote from the 30th president of the United States, Calvin Coolidge, who said, 'The nation which forgets her defenders will itself be forgotten.'" He added that the revamped Memorial Room "will reflect our community history and reiterate our values, beliefs and shared journey. The road map for the future involves knowing where you've been and how and why you got there." 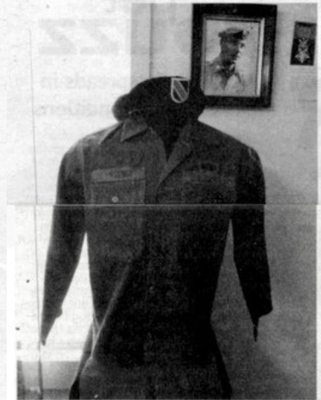 The refurbished space features a display of military uniforms worn by local residents with each service member identified and their connection to Zeeland explained. Conflicts represented include World Wars I and II, Vietnam and others. Women's contributions in times of war are also saluted with the inclusion of uniforms worn by a World War I nurse and a World War II WAVES member. An artifact case is filled with items used by soldiers and objects they collected while serving their country. Visitors will see a mural of the Zeeland Cemetery, where local families gather every Memorial Day for a reading of the names of veterans who are buried there or at national or overseas graveyards. Graves for those who served in conflicts from the Civil War onward are located in the local cemetery. A list of local veterans is posted in the Memorial Room with a spotlight focused on those who never made it home including Gilbert Karsten, the first Zeeland resident killed in World War I, and Green Beret Gordon Yntema, who lost his life in the Vietnam War and was awarded a Congressional Medal of Honor for his sacrifice. The "Back Home" area of the exhibit highlights the "community and the sacrifice made by those who didn't or couldn't serve, but nonetheless were supportive of those who did," according to Norder. He noted, "During World War I and World War II, sacrifice was a national event. Everyone was involved and personally impacted by the war." 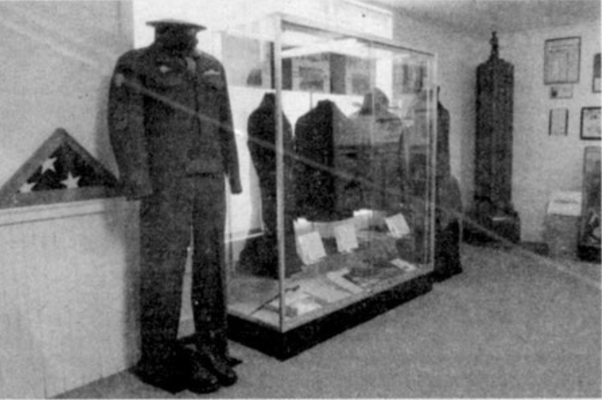 The museum pays tribute to the community's support of the troops through a collection of ration books, medals, archival photos and other memorabilia. The Memorial Room, which occupies a place of honor in the museum, is not merely a repository for items from the past, but offers a moment to pause and think about the future. As Norder explained, invoking the words of the 40th president of the United States, the space "will honor those virtues that we celebrate in our veterans and want to pass on to future generations. To quote Ronald Reagan: 'Freedom is never more than one generation away from extinction. We didn't pass it on to our children in the bloodstream. It must fought for, protected, and handed on for them to do the same.'" The museum is located on Main Avenue in downtown Zeeland between State and Elm streets. Summer hours are Thursdays from 10 a.m. to 5 p.m. and Saturdays from 10 a.m. to 2 p.m. Admission is free with donations gratefully accepted.